Travel managers and TMCs are coming to terms with the increasing popularity of business and leisure travel combined in one trip. As younger professionals begin travelling for work, they’re increasingly adding a couple of days of leisure travel. For years business and leisure travel were two very different animals: people either travelled for work purposes, or they took a holiday on their own time, for their own enjoyment. But with the cost of flights and holidays rising, it makes sense, from a business traveller’s point of view, to turn a work trip into a leisure break where possible. 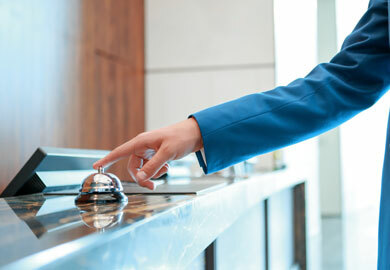 However, this creates a headache for travel managers and for the TMCs that oversee corporate travel programmes, because combining business and leisure travel can cause serious problems in terms of compliance with policy and booking processes. It can also increase the cost of service for these trips as they usually have to be managed via an offline agent rather than an online tool. For employers, and for TMCs, addressing this challenge is complex. Most employers do not have an issue with travellers adding a few days onto a business trip, but the impact on data, compliance, risk management and cost is a big issue. Unless the lines between business and leisure activities are monitored and managed effectively, businesses could find themselves paying extra for staff jaunts, not just financially but also in terms of lost productivity. Data is key here and gives businesses the ability to measure the real impact that mixing business and leisure is having on the company.